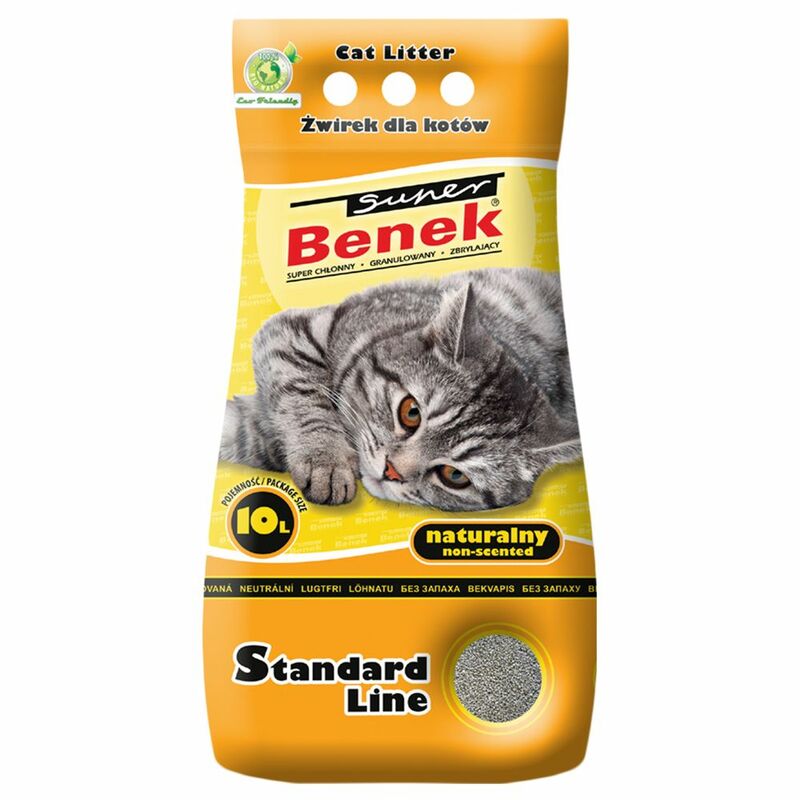 This Super Benek cat litter is made from natural bentonite. Consistent coarse grains with a diameter of 2-5mm make it difficult for litter to be tracked outside the box. It very effectively absorbs both fluids and odours and ensures powerful anti-bacterial protection. Its excellent moisture retention allows the formation of primarily compact clumps that don't stick to the bottom of the litter box. Due to its pleasant, dry consistency, natural earthy scent and dust-free properties, Benek Super Natural Cat Litter is ideal to maintain a hygienic litter box. Super Benek Natural Cat Litter at a glance: Hygienic bentonite cat litter Grain size 2 – 5mm: reduces distribution of litter outside the box Anti-bacterial: thanks to high fluid and odour absorption Excellent moisture retention: quickly absorbs fluids and forms compact clumps Pleasant consistency and natural earthy scent Dust-free How to use Super Benek Natural Cat Litter: Evenly distribute a 3-5cm litter layer on the floor of the litter box.